Introducers supplied sterile. For single use only. Available bulk upon request. Standard lengths are noted above. Other lengths available upon request. 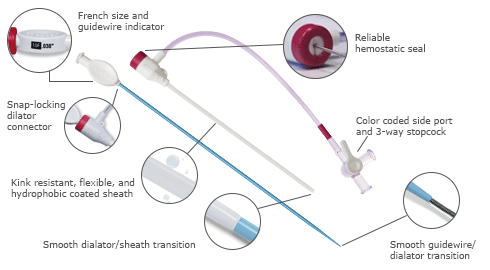 The Adelante® Sigma introducer sheath is the next generation in vascular access, featuring the latest hemostatic valve technology, which allows for the introduction of small to large devices.